← Lazy girl beach waves! 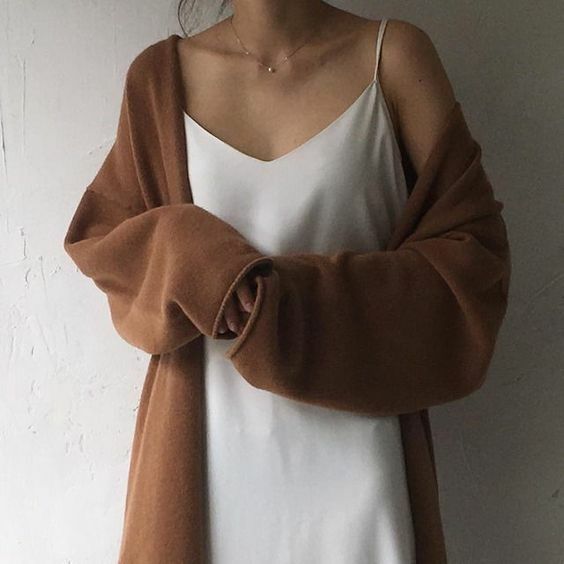 Do you have a favorite slip dress? I do, and I’ll be wearing it out for my birthday dinner this weekend. Mine is from Aritzia and fits my figure perfectly. I never would have thought this trend was for me, but when I tried it on, I felt like a million bucks. On the September cover of Vogue, JLaw wears one in red, the color for fall. You can wear them with a t-shirt, a bell sleeve blouse, or with nothing else. Sneakers, a heel, you name it, a slip dress can be personalized for your mood. Throw on your favorite sweater and ankle boots as the weather cools. You probably have all the pieces in your closet, so throw the look together, and let me know what you come up with.